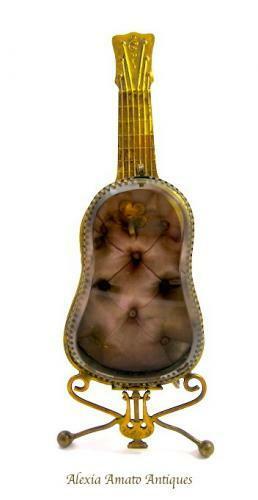 Antique French Dore Bronze Casket in the Shape of a Guitar with Bevelled Glass. The inside with Original Rose Silk and Original Flower Hook for Pocket Watch. It Stands on Ball Feet with a Lyre Design at the Front.